What is the iSleep Dental Program? It is a turnkey operation for dentists to treat patients afflicted with sleep apnea. Through this program, dentists can identify the signs and symptoms of Obstructive Sleep Apnea (OSA) and use an oral appliance as the first line of treatment. What does the iSleep Dental Program entail? Every patient is screened for OSA at our front desk. Our employees will ask you to fill out the Dental Sleep Health Questionnaire to identify the signs and symptoms of OSA. The next step of the process involves an exam that is performed by a dentist or dental hygienist. This will include the assessment of the tongue, uvula, and airway passage. If findings result in patients scoring greater than a six (6), a sleep test then has to take place. The exam will focus on collecting information related to OSA such as high blood pressure, high cholesterol, Diabetes, heart disease, and GERD. Obstructive Sleep Apnea testing can be provided to qualified patients in the comforts of home. All tools used are approved level III medical devices that are simple and easy to use. The collected data then gets interpreted by sleep specialists. The findings, revealing mild or moderate cases of OSA, will then be sent to the dentist for an oral appliance fitting. For the more severe cases of sleep apnea, therapy using C-PAP machines must be used. Please note that patients with severe OSA, but are CPAP intolerant, can sign an affidavit for non-compliance / intolerance and request to have an oral appliance made for their sleep apnea. The iSleep Dental Program comes complete with a Billing Service Agreement. Through this program, we will perform all pre-authorizations for EO486 (oral appliance) and will submit all insurance claims on your behalf. Most insurance companies will require authorization to be obtained to demonstrate a patient’s need for an oral appliance to treat their sleep apnea. These are strict, must-follow guidelines to gain the insurance company’s approval and the go-signal to construct the oral appliance. For dentists who are not completely familiar with the insurance agency’s guidelines, they are advised to partner with renowned insurance firms to ensure a successful authorization process. Why Sign Up for the iSleep Dental Program? The iSleep Dental Program not only adds another revenue stream for your practice but helps you provide better care for patients as well. Stay ahead of the competition by providing treatment to Obstructive Sleep Apnea (OSA). 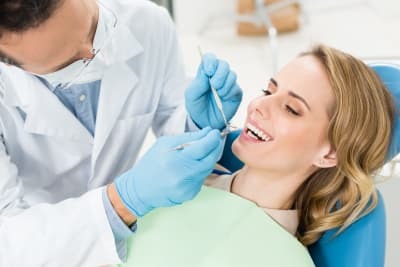 Medical Insurances are well aware that when it comes to custom-fitted oral appliances, dentists are the unrivaled experts. To enroll in the iSleep Dental Program, you can download and fill out our sign-up form. After submitting, expect our account manager to reach out to you for finalization of enrollment and scheduling of office consultation. Our forms are available in seven different languages. Please call our offices for more information. After filling out your forms, you may fax them to 888-929-SLEEP.